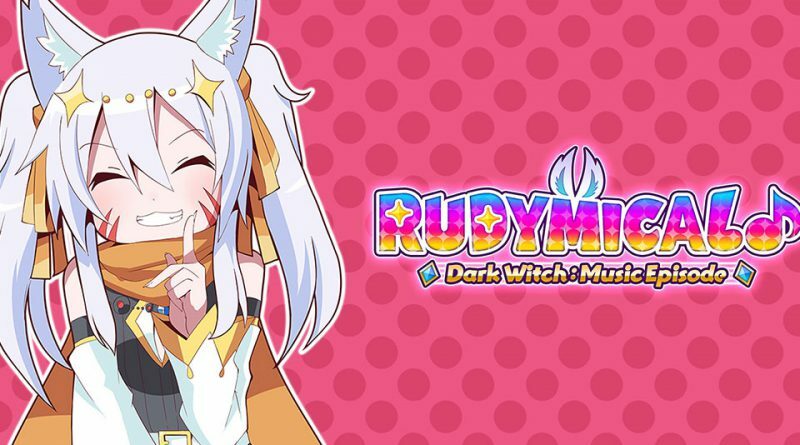 Flyhigh Works, Inside System, and Esquadra have announced Dark Witch Music Episode: Rudymical is coming to Nintendo Switch on May 11, 2017 via the Nintendo eShop. Dark Witch Music Episode: Rudymical is a spin-off from the Dark Witch Story series featuring a single-player Story Mode, a VS Mode and a Co-Op Mode. A one-player mode. Choose your favorite from among three playable characters. By getting a high score, you can obtain items called “Syega,” and collecting a certain amount of these items will unlock different costumes for the playable characters. There are a total of 13 stages to choose from. Defeat the bosses that await in each with high spirit rhythm action! Compete against a friend in a rhythm battle. You can also interfere with each other during the battle. Work together with a friend to clear each stage. The syncrhonization rate between the two players will decide whether you win or lose.